The Genius is one of the most innovative quantum biofeedback products in the world! In a world where quantum biofeedback devices were previously only available at price points of $15-20,000, the creation of a biofeedback platform that works on a tablet or smartphone has made the power of biofeedback available to just about anyone who wants to be a part of this thrilling technology. Quantum biofeedback gives you the ability to direct frequency in a way that you desire in order to shape the life that you truly want. The algorithms and frequencies inherent in quantum biofeedback simply give you the ability to shape and shift your life into what you want it to be. Biofeedback gives one the ability to tap into innate intelligence in order to be more successful, or more healthy working or to work on relationships. Biofeedback taps you into universal consciousness with technology. Although you may have heard that you can create the life you want , you may have noticed that sometimes this is a very abstract concept! Biofeedback gives you a tool in its technology to allow you to focus your energy. You work in partnership with the frequency of the technology in biofeedback. It is a combination of your clear intention and the technology inherent in quantum biofeedback. A quantum biofeedback technology, the Genius Insight in particular, is one that allows you to add your own affirmations, your preferred supplements and even your desires wishes and dreams into the program! This is a fascinating advancement in technology that allows you to shape your life in the way that you want it. The vague concept of being able to create your own reality has been transformed into a structured technology. You shape your world steadily through the power of frequency. Quantum biofeedback technology allows you to peer into issues we don’t normally have easy access to. For example, if you are using natural health testing panels , you can peer energetically, you can get a sense of where you are energetically in relation to these issues. When you understand where you are through biofeedback scans, it gives you a new awareness. Awareness is power because it gives you information to initiated different actions in your lifestyle. There are areas in your life besides health, including such things as financial abundance and relationships. You can use the frequencies from the genius in order to create more harmony in your life in any area you choose. As you know from changing habits or working toward a goal, these endeavors often take repetition. It is similar with quantum biofeedback. Running the frequencies daily or at least regularly several times a week creates a momentum. This technology works through entraining these frequencies into your own energetic field. Entrainment is similar to the concept of absorbing nutrition. You are embracing it and making it part of your field. Think of how repeating and affirmation or goal every day changes your life. It is similar with biofeedback. Biofeedback is a powerful tool that we need today in a world where people can't get the answers that they want from doctors or from the medical community. Yet, through the touch of a few buttons, you can can get answers to questions you are desperately wanting to know through looking at different aspects of your energetic field. You can energetically look at hormones, minerals, neurotransmitters, brain health and more. These are only energetic readings and they should not be taken as a physical diagnosis. Yet it has been our experience that these energetic readings are closely aligned to the physical experience many of our users. They have reported over the years that these readings are often spot on for them given what they are experiencing. Anna was working with her client. He was told he was going to need a stent to be placed based on the damage to his heart. He agreed to the procedure, but began working with his biofeedback practitioner to improve in every way that was possible. Fiona worked with Jerry via long-distance sessions. He was not always on the phone during these sessions, but she used his current picture and voice recording to do these sessions. She would run harmonizing frequencies for Jerry twice every day for a total of 25 days. These frequencies were based on what was matching for his energetic field for that day. They included frequencies to support the coherent energy of the heart, to unblock stuck emotions and to energetically support balance in the chakras and meridians. Was it the biofeedback? There wasn’t much else that Jerry had changed or done. The entrainment of frequencies, applied regularly, begins to powerfully shift the energetic currents of the body. When energy changes, eventually the physical follows. This is what Jerry discovered. Because of advancements in biofeedback, particularly those that now make biofeedback available on your favorite tablet or smart phone, you can now do biofeedback for yourself and your family. Anyone can get a biofeedback system and learn to run these frequencies in the areas of health, abundance, relationships, physical manifestation of goals and much more. You can also become a certified practitioner. You do not need a nutritional or medical background. However, those with experience in these areas can use these in their practices with great effect! When used with wisdom, as one would use muscle testing, this technology can assist a practitioner in getting answers quickly. When running your first biofeedback session, you often begin to move energies that have been stuck for a long time. It is natural to feel a little tired after your first session and then very refreshed within a short time. You may even notice a perceptible lift in your energy and vitality over the next week. A good amount of time to run a session is 15 minutes per day. It’s recommended to drink at least 8 ounces of water after a session. Consider using an electrolyte replenisher, such as Emergen-C or similar drink to keep the minerals of the body strong. This facilitates the flow of electricity in the body and increase the likelihood of deriving benefit from your session. Kelley is a busy Southern California mom with 3 children. In the quest to keep them healthy, she found trips to the pediatrician sometimes helpful, but often leaving something to be desired. There were so many times that the solution could not be found, never mind the problem! As Kelley became proficient in biofeedback testing, she was able to do much of the work her family needed with biofeedback. Please understand, when medical advice and visits were needed, they were done! However, she found that biofeedback could improve recovery time in the case of mild falls or ankle sprains. She found that she was able to focus in on exactly the emotional issue that was surfacing with one of her children and better assist in resolution of the issue. Bottom line, for Kelley, biofeedback has become an indispensable tool in her life. Energy medicine can be considered to be the therapeutic use of frequencies. Those frequencies or energy could be produced by a variety of technologies. In the case of practices such as Reiki, human beings produce this frequency and use intention to direct it to others. When we are exposed to frequencies, we are influenced by them. This is known as resonance. Human systems, including hormones, neurotransmitters and others are responding constantly to frequency communication in the body. We are also influenced by external frequencies. These can be positive or negative in their effects on the body. From Dr. Masuru Emoto’s work, we know that when water is in the presence of classical music playing, the water takes on an organized crystal structure. When we expose our body to positive frequencies in biofeedback we are affected in a similar way to the water. 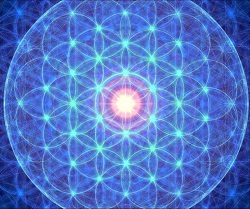 We begin to be influenced by these positive frequencies and our cells can take on this coherent structure. If the cells become more organized and coherent, it follows that the vitality of the body will follow as well. This is the goal of running frequencies in biofeedback. Who developed the Genius Insight? The Genius Insight was developed by Ryan Williams along with his team at Insight Health Apps. Ryan has been in the world of quantum biofeedback for over 20 years. He had the vision to see that an application based software, one that did not need bulky wires and boxes, could help more people access this exciting technology at a considerably lower price point. He was able to bring together developers in this industry who assisted him in creating the Genius. Ryan, a South African native, now lives and works in beautiful Carpinteria, California. How do the frequencies in the Genius work? The sophisticated and proprietary voice engine software in the Genius assesses many qualities of your voice. It then converts that information to a wave form that can be further interpreted by the Genius as frequency. This frequency is compared to various Hz frequencies in the Genius. These frequencies range from 0-10,000 Hz. A working knowledge of the coherent frequencies of organs, chakras, meridians and other known frequencies is then used to program the frequencies stored within the Genius and used in the various panels. Biofeedback is not a diagnostic tool for an medical condition or disease. Its only function is to identify where there is reactivity in the energy field, and then feed back frequencies that can assist in clearing the reactivity. Think of this as trying to tune into a radio station but you hear static. The role of biofeedback is to clear the static so that your frequency comes in loud and clear. The experience of reducing reactivity often results in experiencing more vitality, more energy, more clarity of mind, etc. How should I get started with biofeedback in my own journey? You can begin your journey by downloading free access to the Genius Insight for 14 days and beginning to do a series of short sessions and experiments. Also, schedule a free scan with one of our certified trainers.